Fun Fair at Nags Head Event Site. A classic carnival. Fun Fair and Father’s Day mark the real beginning of Outer Banks summer. The official start of summer on the Outer Banks is simple—Father’s Day weekend. Memorial Day may be the symbolic start of the season, but things don’t really get rolling until schools are out and families can plan on some real time together. So—it’s Father’s Day weekend…the third weekend of June that always seems to kick things off in a big way on the Outer Banks. We’re starting to get a nice tradition going for the week leading up to the Father’s Day. For the past three years, Children and Youth Partnership of Dare County has sponsored the Fun Fair at the Nags Head Event Site. The fair will be in town through Wednesday and for anyone who is going to be on the Outer Banks during that time, come on out and have some fun. 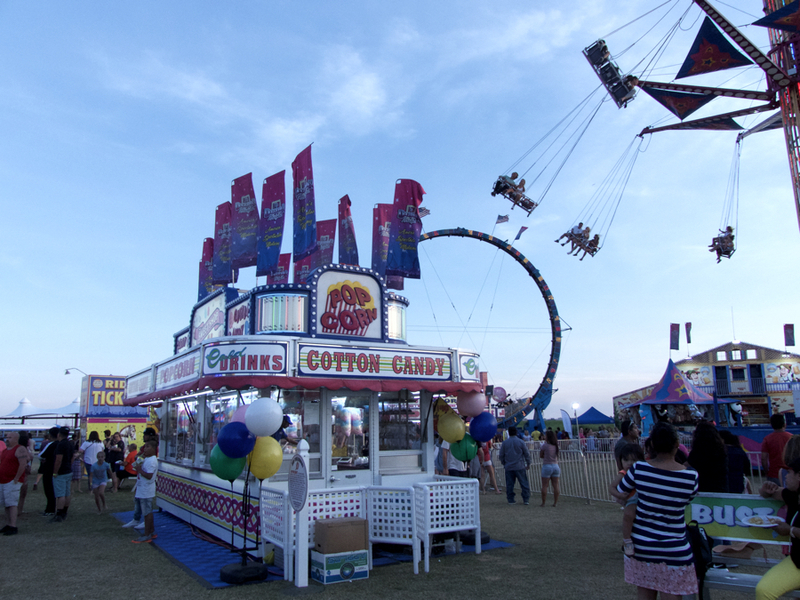 This is a good old fashioned traveling carnival, complete with rides, games and food. There are lot’s of rides for thrill seeking kids and their parents, most of them going in circles really fast. There is, however a haunted house and bumper cars. They seem to have added a ride or two for the younger set, so everyone should have a great time. The weather is looking really promising for the week…if anything a bit on the hot side on Monday and Tuesday. After that, if the forecast holds, sunshine and temperatures in the low to mid 80s. The water temperatures are still at a refreshing 70-75 degrees and on those hottest days, it’s going to feel fantastic. A quick safety reminder about swimming in the ocean. It is safe, but it is a big, powerful body of water. Be sure to go to the beach with friends and swim around a lifeguard. And if red flags are flying, do not go in the water. Every season on the Outer Banks has something special to offer. Find that special place to stay at Joe Lamb Jr., & Associates.